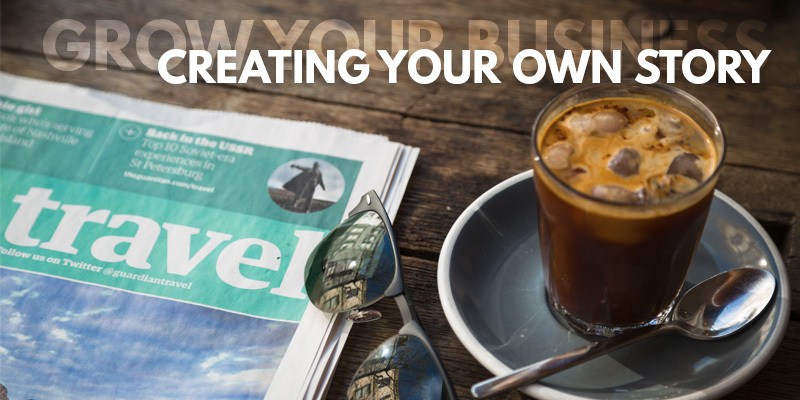 Grow Your Business By Creating Your Own Story | Sharp Innovations Blog | Sharp Innovations, Inc.
Every newspaper has column inches that it needs to fill with copy and pictures, and every TV station has minutes of air time that it wants to fill with stories about local people who are succeeding in business or doing wonderful things for their communities. You see these types of stories every day, but have you ever wondered how the newspaper writer or TV reporter found out about the little local business that’s invented a way to use the wave action of ocean water to produce electricity? One answer is that the little local business sent out a press release. Writers and reporters can’t be everywhere and know everything that’s going on in their communities, so they’re hopeful that people will send them positive story ideas. Here’s an example. Channel 43 in York, PA has a web page that’s asks for stories: http://fox43.com/submit-story-idea/. So what makes an idea that’s worthy of coverage? That is a question with no simple answer. To some extent, the decision on which ideas will actually get into print or on TV comes down to how an editor is feeling on any given day. If she has a bad headache, and you’ve just patented a device that promises to cure headaches, then you may get a call from that editor. But the adjectives that best qualify ideas to become stories are “Interesting” and “Different”. What makes your business interesting? What has happened recently that’s different from what happens every day? Have you just won an award as the most prolific installer of artificial turf fields in this quadrant of the universe? Did you earn a Pink Cadillac for being a highly successful Mary Kay sales representative? These are examples of ideas that might become stories. The worst that can happen when you send out a Press Release is nothing, meaning that your story won’t get into print or in front of viewers. The best that can happen is that many people who are now unaware of your business will become aware of your business, and that can lead to a surge in visitors to your website and an increase in your business. And, even if nothing happens, you can still use your press release as a marketing tool. You can print it and mail it to existing and potential customers or post it on your website and social media pages. So consider making press releases a part of your marketing strategy, and if you’re not comfortable with writing them, the scribes at Sharp Innovations can write and distribute press releases for you. Your website is your most powerful marketing tool, and press releases can bring new visitors to your site.